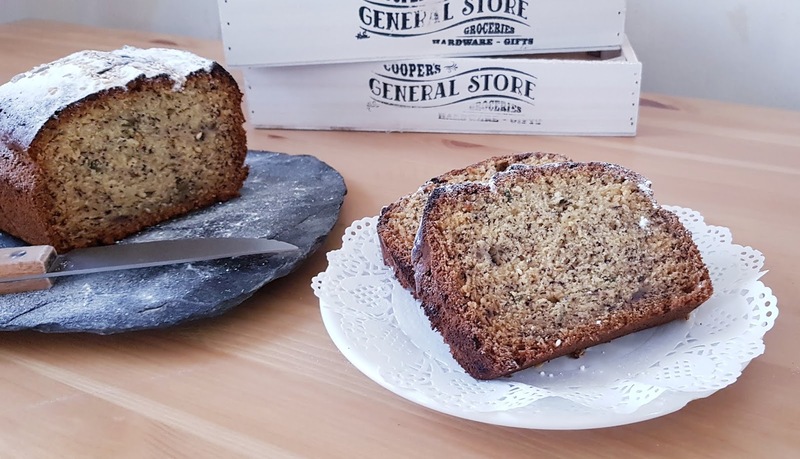 Something that my partner and my Daughter absolutely love its banana bread. My daughter of 19 months old love so much banana that this was one of the first word she learn to tell. That saying it all. 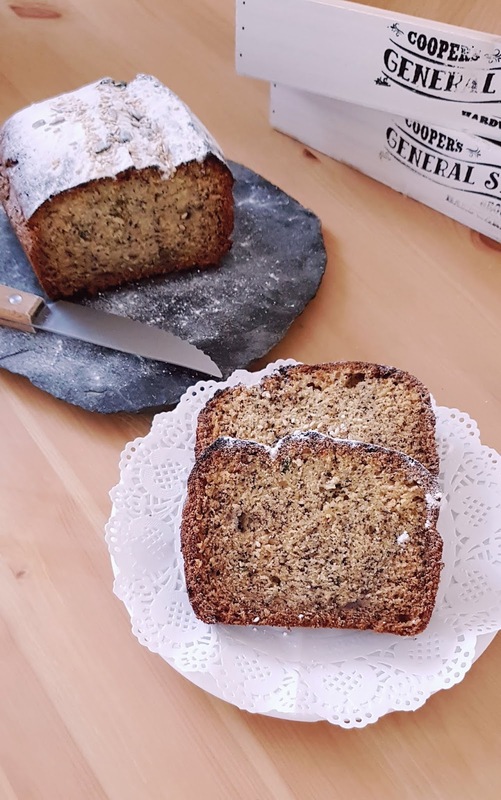 Often I am left with 1 or 2 bananas that seen better days and a banana bread is a quick and easy dessert that do not take longer than 20 minutes (but do inc. 30-45 minutes to bake) to make and it is absolutely tasty with a nice cup of tea or even with some butter and jam (try it!). Here my quick recipe where you just throw all in in one bawl then give it a good mix and bake at 180 degrees for around 30-45 minutes. Then I recommend to use a bread tin because this cake will expand or if you don't have any bread tin, any other tins will do just fine. 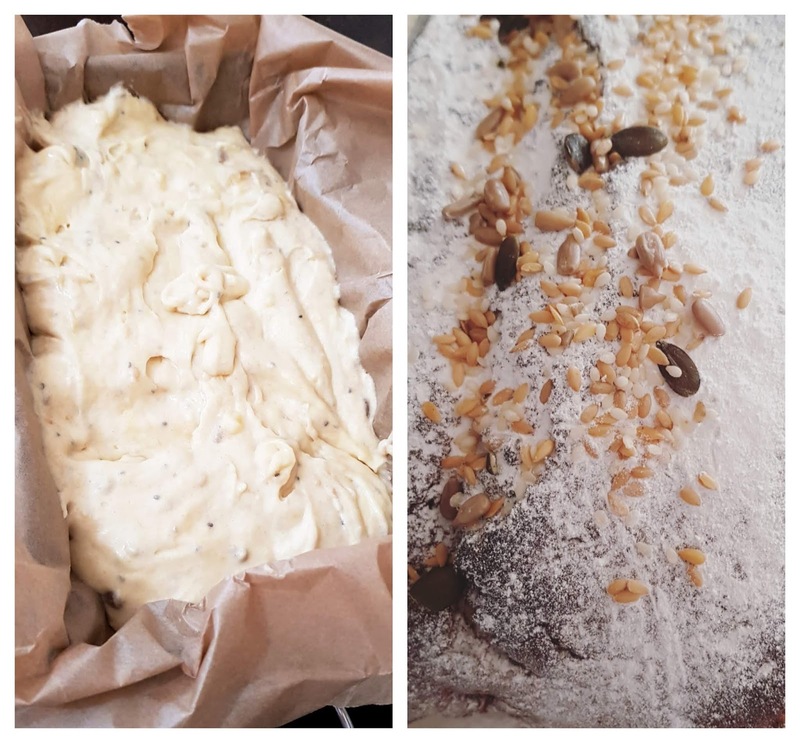 Then sprinkle with icing sugar and if you really want o go fancy why not add as decoration some banana chips or like me icing sugar and sprinkle of mix seeds? The choice is yours!